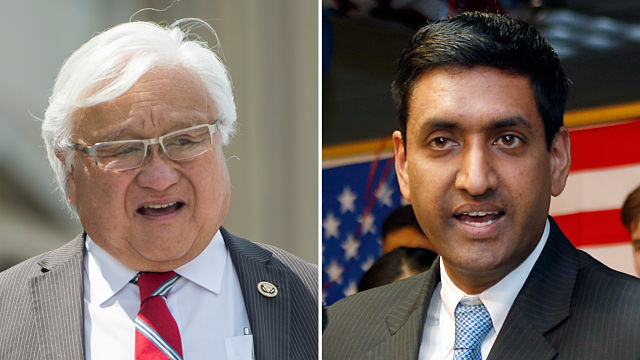 Fremont Democrat Ro Khanna has defeated eight-term Rep. Mike Honda (D-San Jose) in their bitter, intra-party matchup in Silicon Valley. Honda, a longtime progressive voice in the Bay Area, was believed to be one of California’s most vulnerable congressional incumbents after he received fewer votes than his challenger in June’s primary. Khanna, who also challenged Honda in 2014, argued that Silicon Valley voters needed a change in leadership. An ongoing ethics investigation into whether Honda had improperly used his official resources for political purposes, as well as the loss of key endorsements like President Obama’s, clouded Honda’s campaign. The race quickly became California’s most expensive congressional campaigns and had grown increasingly nasty, with Honda filing a lawsuit in the final weeks of the race, alleging that Khanna’s campaign manager had illegally accessed proprietary campaign data. A spokesman for Honda’s campaign declined to comment, saying the campaign would be releasing a later statement Wednesday.